There seems little point in rephrasing this passage from the Satires and Burlesques volume of the University of California’s ongoing edition of the complete works, published and unpublished, of Mark Twain. Unpublished and unpublishable, one might almost say, for the completed ‘1,002d Arabian Night’ inspired little enthusiasm in Twain’s literary advisors. William Dean Howells wrote to say: ‘The opening passages are the funniest you have ever done; but when I got into the story itself, it seemed to me that I was made a fellow-sufferer with the Sultan from Sheherazade’s prolixity ... I feel bound to say I think this burlesque falls short of being amusing’ (Rogers, 1967, p. 89). His publisher, James Osgood, then proceeded to ‘lose’ the 128 pictures Twain had drawn, so the project was shelved. The question remains: why did he waste so much time (at least four weeks) on this futile idea, instead of getting on with Huckleberry Finn as he surely should have done? Ever since The Ordeal of Mark Twain was first published in 1920, we have heard a good deal about the suicidal and destructive impulses locked up inside this particular great writer, and of course there was nothing new - for him - in spending time on works that came to nothing (in fact, that is one of the main reasons why the University of California embarked on the Mark Twain Papers in the first place). And yet there is something a little different about this one. 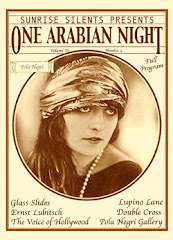 For a start, if Twain was unable to publish his burlesque ‘thousand-and-second’ Arabian Night, then he seems to have been almost alone among his contemporaries in this failure. To list but a few examples, Thackeray’s ‘Sultan Stork’ was subtitled ‘The One Thousand and Second Night’ when it appeared in Ainsworth’s Magazine in 1842; Edgar Allan Poe wrote a ‘Thousand-and-Second Tale of Scheherazade’ in 1844 (incidentally contributing to the still-current fallacy which gives us 1001 Tales, rather than two hundred odd spread over 1001 Nights); Dickens’s ‘Thousand and One Humbugs’ (1855) admittedly varies the wording a little, but that can be made up for by the ‘mille et deuxième nuit’ of the French symbolist Théophile Gautier (1979), which appeared in the same year as Thackeray’s, 1842. Finally (at least so far as this chapter is concerned - not ‘finally’ in any other sense), in a review of George Meredith’s 1856 ‘Arabian Entertainment’ The Shaving of Shagpat, by George Eliot, she offers the novel bait to readers that it may indeed ‘be the thousand and second night which they perhaps longed for in their childhood’ (Williams, 1971, p. 47). And, while we're on the subject, I do not know why she reviewed it more than once, but there is no record of her particularly approving of George Meredith in any other context, so it must have been the book itself which pleased her. Each of these cases is different, mind you. Dickens’s is a political satire, with ‘the Grand Vizier Parmarstoon (or Twirling Weathercock)’ attempting to justify the ‘Howsa Kummauns’ to his master the Sultan ‘Taxedtaurus (or Fleeced Bull)’ (Dickens, 1855, 265: 265-66); Thackeray’s (1911) is a rather brazen theft from a collection of fairy-stories by the German Wilhelm Hauff (even though it purports to be ‘translated from the Persian’ by his Baron Munchausen-like alter-ego Major Goliah O’Grady Gahagan); Poe’s (which his editor describes as ‘one of [his] most amusing stories’ (Poe, 1978, p.1149), is a laborious satire on the wonders of modern science, and how much more marvellous they are than the oriental magic which so awed our ancestors. I hope that I have said enough, however, to convince you that there is a definite motif here. Nor is it confined to the nineteenth century. I hold in my hand a list of some of the parodies of the Arabian Nights - in English - which have come to my attention, and they span three centuries. In fact, as recently as 1991, John Barth published a book entitled The Last Voyage of Somebody the Sailor, purporting to be the ‘Last Story of Scheherazade’ – just like all the others. One approach to this mass of material might be historical. One could go through the various translations of the Nights into English (whether from the original Arabic or from other European languages), and point out their influence on our respective parodists. Thackeray, for example, imitates the erudite footnotes and displays of philological learning of Edward William Lane’s Thousand and One Nights (1839-1841) in his pretended translation from the ‘Persian’, although all his names (including ‘Scheherazade’ for Lane’s ‘Shahrazád’) actually come from the more familiar English version taken from Galland’s French. Dickens and Twain, too, parody the pomposity of Lane’s phraseology whilst taking most of their actual material from Galland’s ‘nursery’ edition. This might be of some interest and utility, certainly, but it could hardly tell us why there is such a profusion of ‘1,002nd Nights’. Another approach might be to look at the influence of the Arabian Nights on English literature as a whole - including, as data, the well-known passage from Huckleberry Finn where Huck confuses Henry the Eighth with Sultan Schahryar, and the Thousand and One Nights with the Domesday Book (Twain, 1985, p. 217). There are poems about the Nights by Tennyson, Swinburne and Yeats. Then there's the more ‘serious’ Orientalism of Johnson’s Rasselas (1759) or Southey’s Thalaba the Destroyer (1801) - and, indeed, the useful recent collection of essays The Arabian Nights in English Literature, edited by Peter Caracciolo, attempts to take up this project where Martha Pike Conant's The Oriental Tale in England in the Eighteenth Century (1908) left off. The approach I would like to take is rather different - not so much the influence of the Arabian Nights on English literature, as the influence of English literature on the Nights. This may sound a little paradoxical and Borgesian, but consider: The Book of the Thousand Nights and a Night (in Arabic Kitab Alf Layla wa Layla) is not really like any other book. As we have seen above, there is hardly a statement which can be made about it which does not have to be immediately qualified by an exception. The provisional nature of the Thousand and One Nights, then - the desperate struggle of each translator/editor of the whole to make up the correct number of nights while simultaneously including all the stories that really must be there (Galland’s dubious “Ali Baba” and “Aladdin” among them) - can be seen to lend itself particularly well to additions and imitations. Fairy-tales of ‘oriental’ type were therefore much in vogue in England in the middle to late eighteenth century. More to the point, however, are the parodies - the subject of this paper. First, the details of those authors’ reading of the Nights - their view of what is significant or notable in them as a literary work (and, by extension, the sides of human behaviour which seem to them to be inadequately dealt with or absurdly caricatured in these admittedly highly stylised fictions). Second, as a corollary, what they miss in the Nights - which aspects of the’Everlasting Nights’ (in Chesterton’s phrase) they glide over, or fail to notice, or simply disregard. One might sum up by saying that we are looking for, first, their reading of the Nights; second, the Nights’ reading of them. 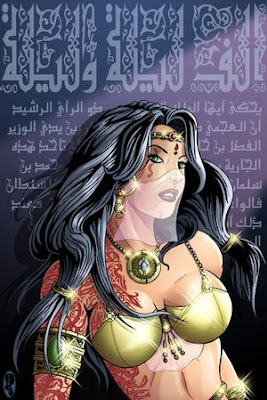 Muhsin Jassim Ali’s book Scheherazade in England (1981), a valuable attempt to tabulate the criticisms of the Arabian Nights contained in nineteenth century British periodicals and books, attempts the first of these tasks. It is my contention, though, that a far more subtle and three-dimensional series of critical readings can be compiled by paying attention to pastiches and parodies of the Nights than by examining the more formal critical pronouncements of the same authors. No human face or voice greets us among that wooden crowd of kings and genies, sorcerers and beggarmen. Adventure, on the most naked terms, furnishes forth the entertainment and is found enough. (Caracciolo, 1988, p. 188). Of the two, Stevenson’s strikes me as being the more astute observation. It is not so much that the Nights resist the ‘fatigue of sublimity’, as that their interest and subject-matter is elsewhere: ‘Adventure, on the most naked terms, furnishes forth the entertainment and is found enough’. More to the point though, it is clear that the narrative predilections of the two authors cause them to read the Nights in the way that best echoes their own practice. There is no ‘fatigue of sublimity’ or terror in Thackeray’s novels - rather an ironic consciousness of the follies of his contemporaries (Vanity Fair) and himself (Pendennis), both in literature and life. Stevenson, however, is all for ‘Adventure, on the most naked terms’ - hence Treasure Island, and Kidnapped, and (of course) the New Arabian Nights. “And did the King of Persia ever get his kingdom back again?” asked the Sultan. What one might not expect, though, is that the rather one-dimensional critical views of the two authors, while certainly borne out by their stories, are also complicated and made more equivocal there. Thackeray, for example, is forced to give us the ‘naked adventure’ of King Mushook’s loss and recovery of the Kingdom of Persia, for all his satirical pronouncements on the subject, and the inferiority of both his plot-making and verisimilitude to even the poorest Arabian Nights narratives shows us a serious limitation in his art. The wit here is directed as much against contemporary policier crime-novels as the characteristics(chinese-box stories-within-stories, too frequent interventions by supernatural forces) of so-called ‘Arabian’ romances. In short, Stevenson finds in the clash of these two contradictory sets of narrative conventions one possible way of suggesting a reality beyond either of them. Returning to our starting-point: Mark Twain, and his literary activities in the summer of 1883, it might be worth commenting on the view of his editor, Franklin R. Rogers, that ‘In a sense ... Selim and Fatima of the “1,002d Arabian Night” are characters in search of a plot. And it is characteristic of Twain that he should attempt first to graft them onto a well-established stock’ (Rogers, 1967. p. 9). One might add to this that his objects of satire, too, are familiar ones - ridicule of Scheherazade’s insufferable prolixity (as in Thackeray and Poe) and a revised version of the traditional happy ending of the collection (in Poe and Gautier, she is executed because the last story does not come up to scratch; in Thackeray the Sultan is simply put to sleep by it; in Twain she is successful in talking Shahriar and his entire dynasty to death). 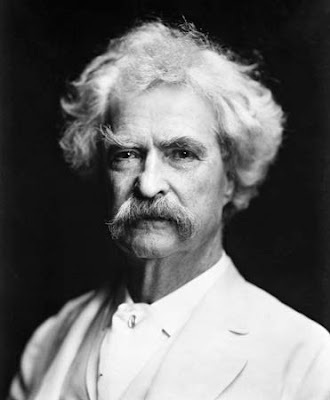 Nevertheless, while Mark Twain obviously began by regarding the romantic conventions of the Arabian Nights with as much contempt and aversion as those of Malory or Sir Walter Scott (satirised, respectively, in A Connecticut Yankee in King Arthur’s Court and Life on the Mississippi), one can see that after his burlesque opening - the only part to be praised wholeheartedly by Howells - the exigencies of a plot on this scale force him to take a real interest in the fortunes of his star-crossed children: Fatima, the Sultan’s son, brought up as a girl, and Selim, the Grand Vizier’s daughter, brought up as a boy. The plot they are in search of might be that of The Prince and the Pauper, or even Those Remarkable Twins, but it's clear that even in this burlesque context Twain has to show that he is capable of cobbling up a passable story himself before he can effectively criticise the collection. The Nights, in short, fight back - for if a parodist simply counterfeits the manner of the stories without rivalling their plots, then his critique inevitably draws fire. Thackeray, never strong in this respect, is forced to borrow a story from a German Orientalist; Dickens - whose satire is directed at British politics rather than the Arabian Nights themselves - contents himself with retelling the stories of the Merchant and the Genie, the talkative Barber and Ali Baba and the Forty Thieves. Poe adds a new voyage to Sindbad’s seven (a favourite expedient - witness the 1970s’ film of The Golden Voyage of Sinbad, or John Barth’s Last Voyage of Somebody the Sailor). Of our mid-nineteenth-century group, only Twain and Meredith (and Théophile Gautier) invent their own plots. What is more, none of our authors are self-confident enough to see their stories succeeding where Scheherazade’s have failed. Gautier’s thousand-and-second night, supplied by him in Paris at the urging of the exhausted storyteller herself, proves insufficient to prevent her execution; Poe’s narrative positively provokes it; while both Thackeray and Dickens ignore the necessity for an ending. They become collaborators with the frame-story, rather than rivals to it (there is, in fact, a translation of the Nights which ends with just such a dénouement, the bored Sultan cutting off Scheherazade’s head). One might sum up, then, by saying that while the enterprise of writing a parody of the Arabian Nights may, at first sight, seem a futile one, it obviously did not appear so to these authors - especially the ones who published their work and who thus presumably expected it to be read and enjoyed. The value of these parodies to us - their revelation of the way in which the Nights were read at a particular date - must therefore be balanced by their value to the authors themselves, which one suspects to have been of a lighter nature. They were intended to make their audience laugh - an audience, naturally, which had been thoroughly familiar with these conventions from childhood. The eighteenth century saw the Eastern world as a sufficiently distant and alien setting for tales inculcating a ‘generalised’ morality - Johnson’s Rasselas, Voltaire’s Zadig, Frances Sheridan’s Nourjahad, even Beckford’s rather more equivocal Vathek. In the late twentieth century the Nights have come to stand for boundless narrative possibilities and the mise-en-abîme in authors such as Borges, Barth and Robert Irwin (The Arabian Nightmare). For Twain and his nineteenth-century contemporaries the challenge to prevailing realism embodied by the Arabian Nights must have have been paramount. And yet - as their parodies, almost despite themselves, make apparent - the clash of two literary conventions (as in Jane Austen's Gothic spoof Northanger Abbey), rather than discrediting one or both of them, suggests a complexity beyond the grasp of either. 1. Witness, for example, the quotations from ‘A Thousand and One Tales of the Arabian Nights’ which open Isabel Allende’s Eva Luna (1989) and The Stories of Eva Luna (1989), both translated by Margaret Sayers Peden. It should, however, be noted that comparison with the Spanish original proves this to be the translator’s rather than the author’s oversight. 2. Perhaps not so well known now as he was in the 1880s, Emile Gaboriau (1832-1873) chronicled the adventures of the detective Lecoq, prototype of Sherlock Holmes, in books such as Le Crime d’Orcival and Le Dossier 113 (1867). 3. ‘Trébutien ... cannot deny himself the pleasure of a French touch making the King reply, “C’est assez; qu’on lui coupe la tête, car ces dernières histoires surtout m’ont causé un ennui mortel.” [That’s enough: Off with her head; these last few stories have bored me to death.] This reading is found in some of the MSS’ (Burton, 1885, 10: 54). Allende, Isabel. (1989). Eva Luna. Trans. Margaret Sayers Peden. Harmondsworth: Penguin. Allende, Isabel. (1991). The Stories of Eva Luna. Trans. Margaret Sayers Peden. London: Hamish Hamilton. Barth, John. (1992). The Last Voyage of Somebody the Sailor. 1991. London: Sceptre. Brooks, Van Wyck. (1934). The Ordeal of Mark Twain. 1920. London: Dent. Caracciolo, Peter L., ed. (1988). The Arabian Nights in English Literature: Studies in the Reception of The Thousand and One Nights into British Culture. London: Macmillan. Conant, Martha Pike. (1908). The Oriental Tale in England in the Eighteenth Century. New York: Columbia. Dickens, Charles. (1855). The Thousand and One Humbugs. In Household Words: A Weekly Journal conducted by Charles Dickens. April 21-May 5: no. 265: 265-67; no. 266: 289-92; no. 267: 313-16. Gautier, Théophile. (1979). La Mille et deuxième nuit. In Romans et Contes. Ed. Anne Bouchard. La collection ressources. Paris and Geneva: Slatkine Reprints. Pp. 317-51. Hurst, Clive. (1990) Selections from the Accession Diaries of Peter Opie. In Children and Their Books: A Celebration of the Work of Iona and Peter Opie. Ed. Gillian Avery and Julia Briggs. Oxford: Clarendon Press. Pp. 19-44. Johnson, Samuel. (1976). The History of Rasselas, Prince of Abissinia. Ed. D. J. Enright. Harmondsworth: Penguin. Mabbott, Thomas Ollive, ed. (1978). 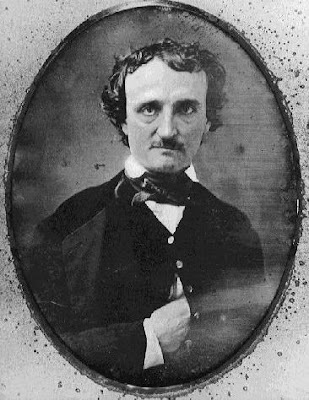 Collected Works of Edgar Allan Poe. 4 vols. 1: Tales and Sketches 1843-1849. Cambridge: Harvard University Press. MacDonald, Duncan B. (1932). A Bibliographical and Literary Study of the First Appearance of the Arabian Nights in Europe. Library Quarterly (Chicago), 2: 387-420. Mudge, Isadore Gilbert, & M. Earl Sears. (1910). A Thackeray Dictionary: The Characters and Scenes of the Novels and Short Stories Alphabetically Arranged. London, New York & Toronto: Routledge, Dutton & Musson. Rogers, Franklin R., ed. (1967). Mark Twain’s Satires and Burlesques. The Mark Twain Papers. Berkeley & Los Angeles: University of California Press. Stevenson, Robert Louis. (1970). The Rajah’s Diamond. In Treasure Island and New Arabian Nights. Ed. M. R. Ridley. Everyman’s Library, 763. London & New York: Dent & Dutton. Thackeray, W. M. (1882). Notes of a Journey from Cornhill to Grand Cairo. In The Works of William Makepeace Thackeray. 12 vols. London: Smith, Elder & Co. VII, 559-706. Thackeray, W. M. (1911). Sultan Stork. In The Works of William Makepeace Thackeray. 13 vols. London: Murray. 5: 737-52. Twain, Mark. (1985). The Adventures of Huckleberry Finn. 1884. Ed. Peter Coveney. Harmondsworth: Penguin. Williams, Ioan, ed. (1971). Meredith: The Critical Heritage. London: Routledge.